A. C. Grayling is Master of the New College of the Humanities, UK. He has written and edited numerous works of philosophy and is the author of biographies of Descartes and William Hazlitt. He believes that philosophy should take an active, useful role in society. He is a Fellow of the World Economic Forum at Davos, and advises on many committees ranging from Drug Testing at Work to human rights groups. A. C. Grayling's book Democracy and Its Crisis was available from LibraryThing Early Reviewers. A. C. Grayling's book On Love was available from LibraryThing Early Reviewers. 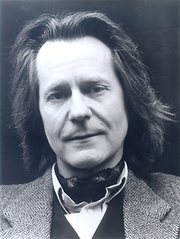 A. C. Grayling is currently considered a "single author." If one or more works are by a distinct, homonymous authors, go ahead and split the author. A. C. Grayling is composed of 18 names. You can examine and separate out names.